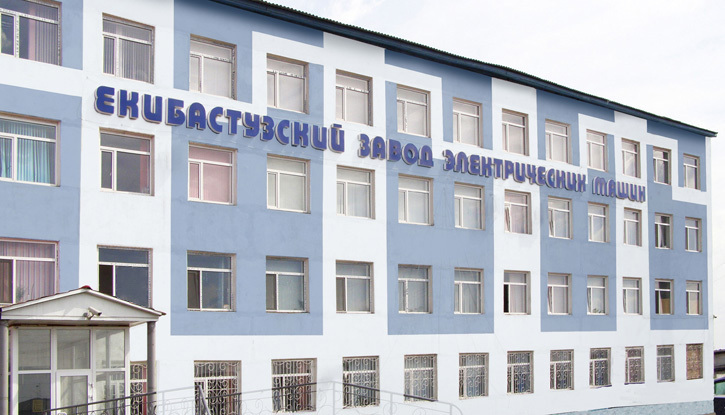 LLP "Ekibastuz factory electric machines"
Ekibastuz factory of electrical machines, as a legal entity has been registered 12/1/2005. Now, after a short time, is a modern enterprise equipped with the appropriate equipment, allowing the repair of electrical motors for industrial use in a wide range. It's about traction motors and generators of diesel locomotives, electric motors, high voltage electrical machines. 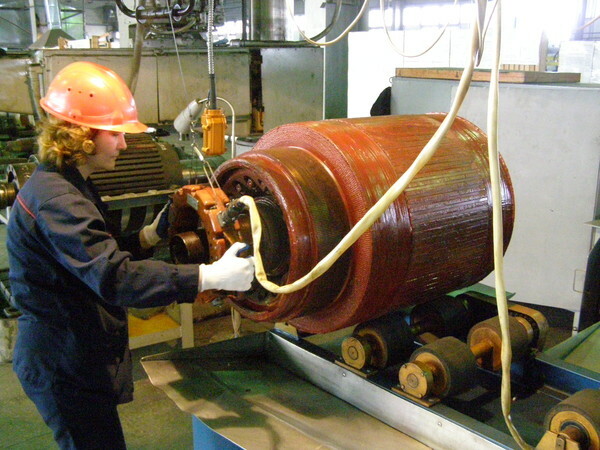 For electric machines of rolling-stock were developed and approved in "KTZ" processes of repair. To continuous development of staff is needed influx of young and promising professionals. 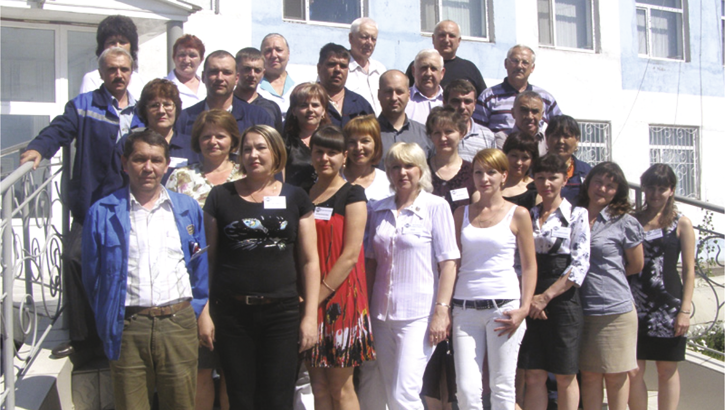 Guide LLC "EZEM" is interested in forming the personnel reserve of the number of graduate students undergoing practical training at the enterprise and further the professional development of employees. The current enterprise system of training and retraining of staff ensures that the qualification. Motivation labor LLP "EZEM" reflected in the provisions of workers' bonuses, introduced in order to strengthen the material interest of workers and improving the effectiveness of the company, providing quality repairs, hobbies, income, improve profitability, increase productivity, improve staff accountability for compliance and strengthening of labor discipline. For the comfort of employees are provided cushy jobs that are equipped with the necessary organizational and technical equipment and fully comply with the rules of safety and health. There are all necessary sanitary facilities that fully meet all the requirements, certification held jobs. Potential staff, in conjunction with effective management and proper understanding of the role and importance of quality management system in production, help ensure high quality of the customer and deliver the goods in contractual terms. Overhaul of electrical machines is a complete change of isolation, followed by impregnation in a vacuum - an injection unit, where a high vacuum 0.003 atm., and after, and pressure of 6 atm. is the penetration of the compound in the smallest pores of isolation, to prevent residual air and moisture (leading to a decrease in isolation and the possible breakdown) seeking, thus "Monolith" isolating technology. High-voltage AC electric machines undergo repairs by "Monolith 2" technology. Used in manufacturing the compound of the class H, which increases heat resistance of electrical machines from standard 155 up to 180 degrees celsius. Explorer anchors are connected by chosen technology, the choice of how to solder (if required) and welded to the collector in an inert gas. 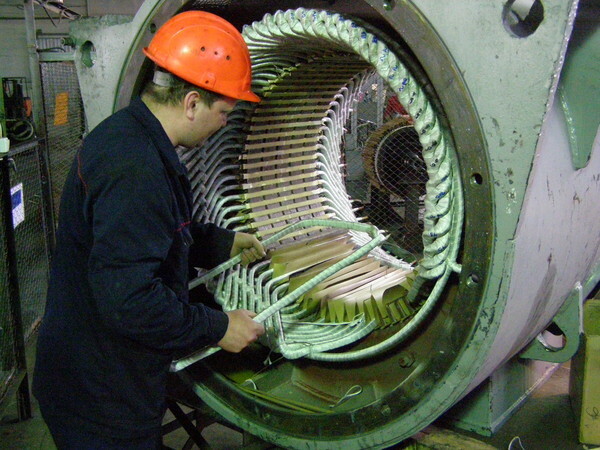 Surfacing of seats: under a bearing on the shaft of the armature bearing a shield and shield the electric machine in the frame is semi-automatic welders in carbon dioxide environment. Disassembly and assembly of electric machines happens at tilters. The bearing is installed in the mounting board to the press and Bearing pulling. 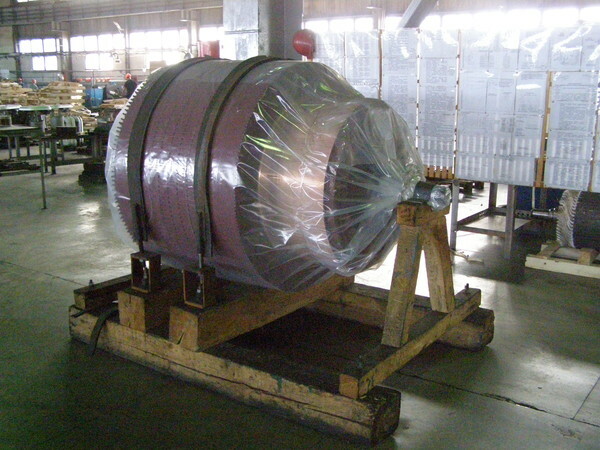 Each coil of electrical machinery before the placement into the anchor or the stator is tested with high voltage, according to the rules of the insulation tape. After assembly of the anchor (stator) tests are performed repeatedly. Anchor, completely replaced the previous isolation, recovery bearing position and insulating enamel paint is balancing on a special high-precision resonanced machine allowing balance anchor (rotor) to 8000 kg mass. After complete assembly, electric machines are tested on the bench by mutual loads. It is possible to test by this method generators are diesel locomotives. High-voltage electrical machines after static tests is verified by rotation of the supply voltage 6000 volts to the rated frequency. 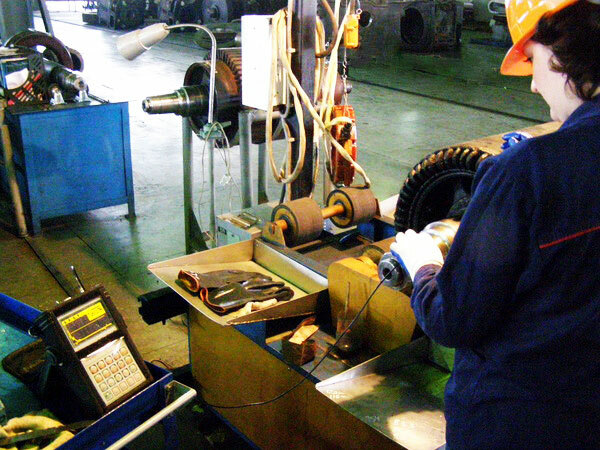 Factory laboratory explores both incoming inspection of materials at the factory, as well as regular, according to the specifications for materials that require such control.